As the hub of entertainment and events in the Central New Jersey Area, Princeton provides an enormous opportunity for those residents and visitors looking for arts organizations, movies, culture, music, lodging, restaurants, and tickets to shows and local attractions. With the McCarter Theatre Center for the Performing Arts – the region's leading performing arts center - in our backyard, the music never stops and the curtain is always going up! The Kelsey Theatre is proud to be home to a talented student company, modern dance ensemble, symphonic band, and 12 different resident theater community and semi-professional theater companies. Theater lovers can revisit their favorite musicals and dramas, and enjoy some newer Broadway gems, while younger audiences will have an opportunity to see the greats for the very first time. MarketFair has a little something for everyone! We feature the finest collection of home furnishing stores such as West Elm, BoConcept, William Sonoma and Pottery Barn. The hottest brands in fashion apparel like Anthropologie, Free People, Francesca’s, GAP and White House|Black Market. Services such as Lash Lounge, Waxing the City and Lenscrafters. Whether you want to dine in or dine and go we have delicious options for you like Season’s 52, PF Changs, Qdoba, Bobby’s Burger Palace, Corner Bakery, Bahama Breeze and Yogorino. So come see a flick at AMC, read a book at Barnes and Noble or meet a friend for coffee at Starbucks, Marketfair has all your shopping needs. 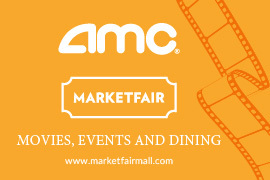 Visit marketfairmall.com for event listings and sales. Soar through the skies in the Museum's spacious Planetarium, featuring precision projection of more than 6000 stars. The largest planetarium in New Jersey, it seats 150 visitors in specially-designed reclining seats that transport an audience to any astronomical destination. Now featuring state-of-the-art Full DomeVideo, visitors will feel the sensation of zooming through the Solar System and beyond. This cutting-edge digital technology immerses audiences within images covering the entire 360 degree inner dome. 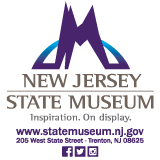 The Planetarium offers something for everyone; with both traditional sky and laser programs, it is the only planetarium of its kind in New Jersey.